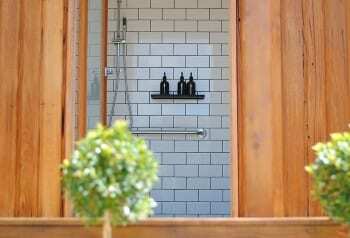 - WEEKEND SPECIAL - Take 15% OFF Friday to Sunday Night Bookings. 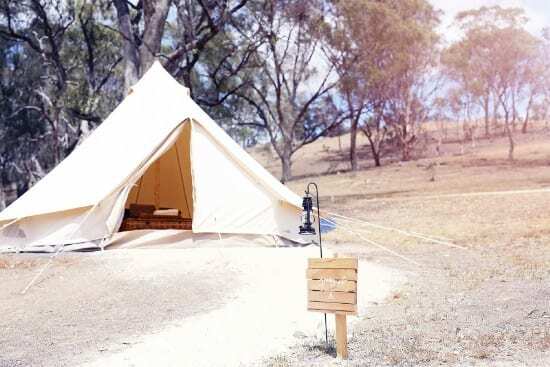 Situated on a private luxury campsite, Cosy Tents is a glamping getaway located 1.5 hours from Melbourne and 15 minutes from Daylesford. 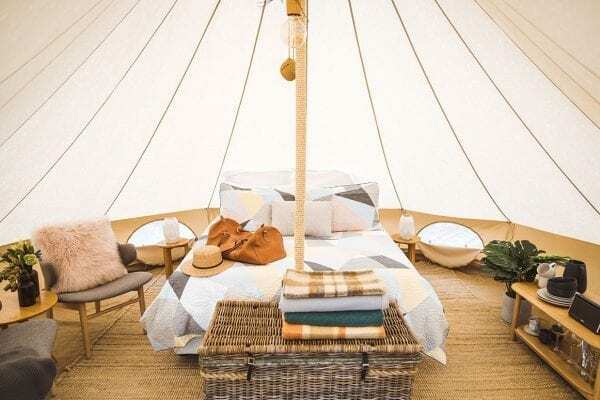 Elegantly positioned amongst the natural country landscape, each of our spacious and comfortable bell tents are beautifully decorated with rich natural tones complementing the surrounding environment. 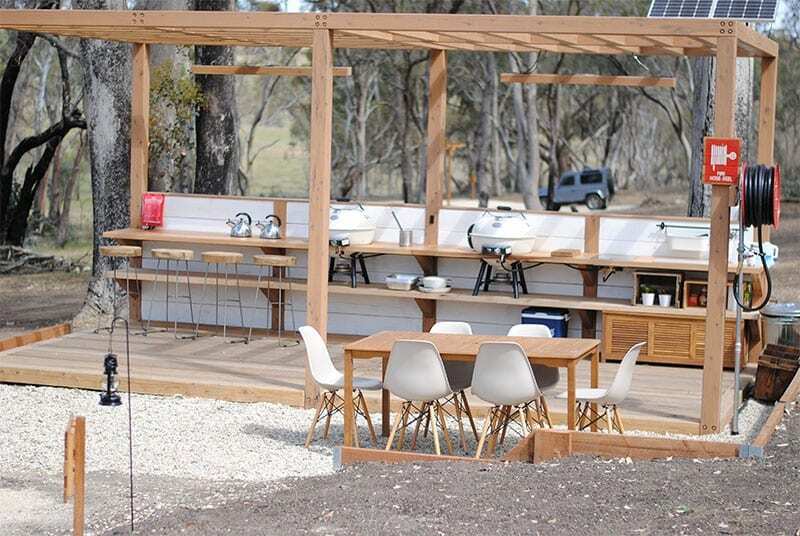 Leave the hassle of traditional camping behind and be spoilt with the convenience and luxury of glamping. 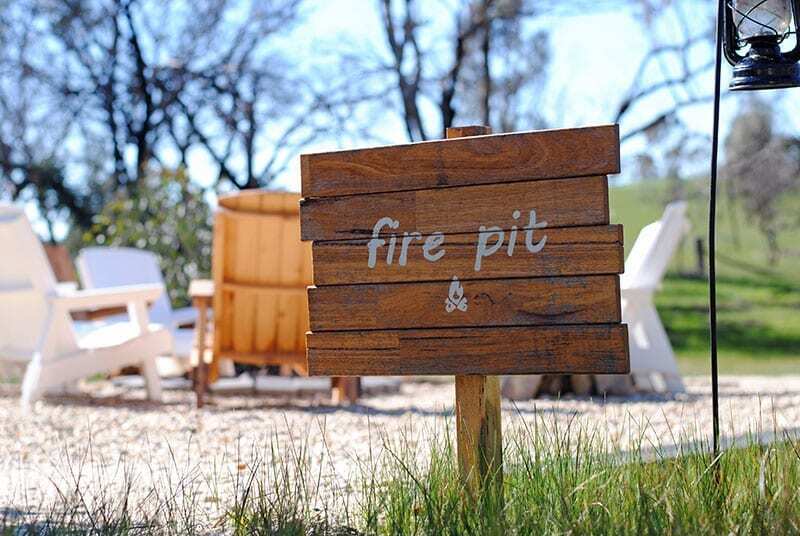 Enjoy a relaxing retreat in your own fully furnished bell tent, sit out by the open camp fire, sleep under the stars, enjoy the fresh air and come glamping with Cosy Tents, Daylesford. 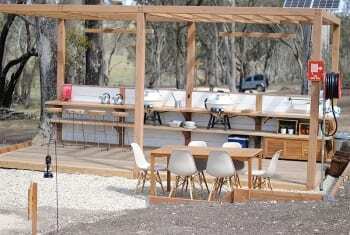 Book a glamping experience with us! Enjoy camping with all the comforts of a hotel room. 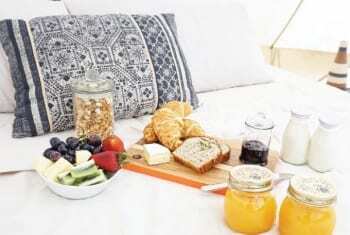 Order a brekkie box with your glamping experience and enjoy breakfast in bed. Celebrate that special occasion with a Moet and Chocolate package. 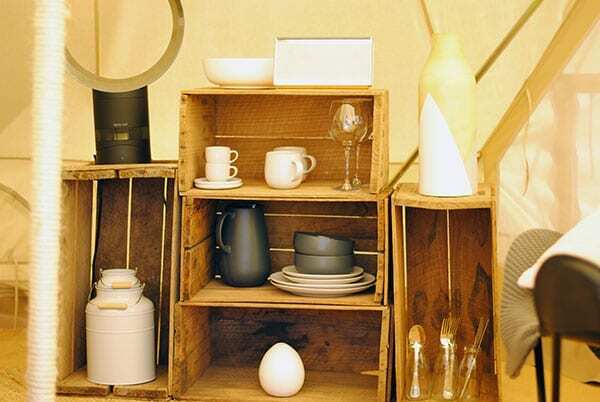 Fully furnished with all your essentials. 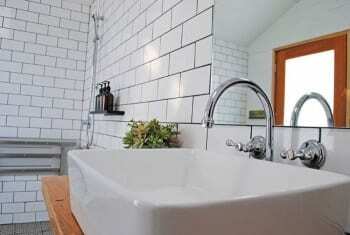 Click here to see a full list of what is included. 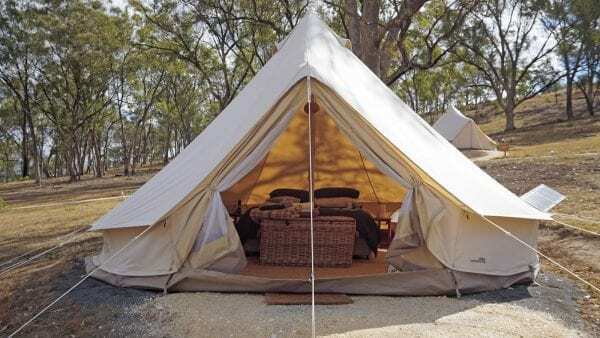 Click play to watch Aubrey from The Love Assembly explore Daylesford and get the inside scoop on Glamping at Cosy Tents, Daylesford. 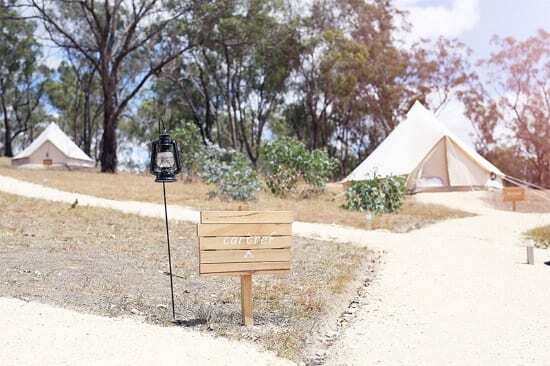 Tucked away on an 11 hectare private property in the spa capital of Australia, Cosy Tents is a glamping experience like no other. 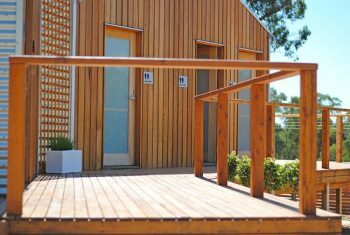 Combining the essence of a hotel with the great outdoors so you can enjoy camping with all the creature comforts. 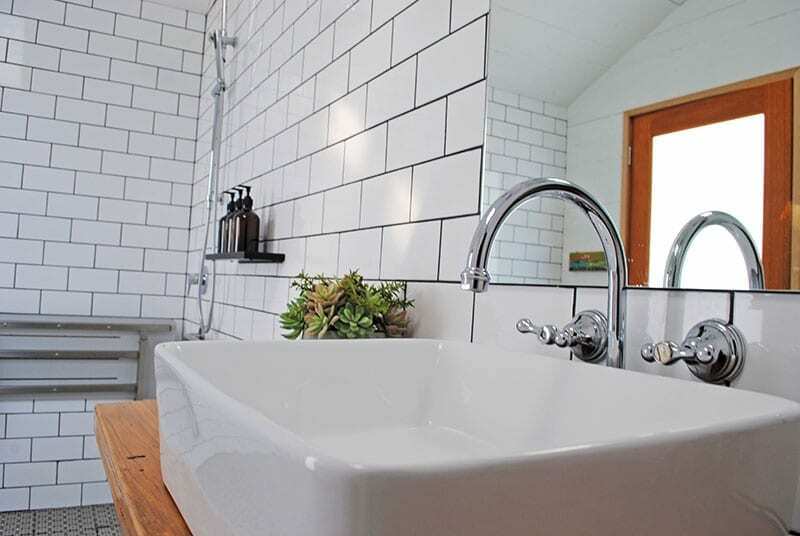 We are 1.5hrs from Melbourne CBD and a short drive to nearby towns Daylesford and Hepburn Springs in a beautiful region no short of restaurants, art galleries, wineries, hiking trails and day spas. Enjoy a relaxing retreat in your own fully furnished bell tent, rug up next to a cosy fire and fall in love with the outdoors again! 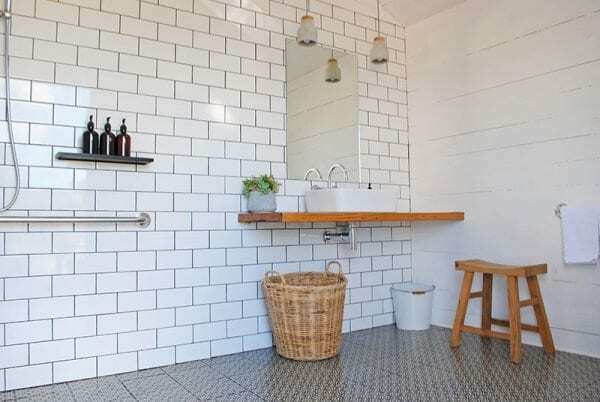 Thinking of venturing out to the great outdoors again? 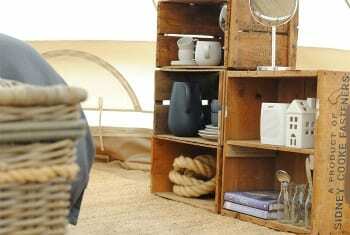 We know how hard it can be to leave the comforts of home so at Cosy Tents we have sorted that out for you. Enjoy a fully furnished bell tent with inclusions such as a plush pillow top queen or double size beds, pillows, blankets, luxury linen, in tent lighting, bose speaker, USB mobile phone charging point, wine glasses, plates, cutlery, esky and more! 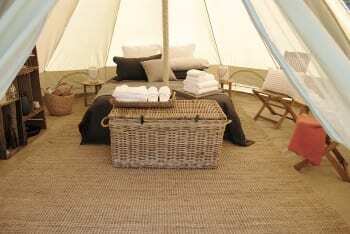 At Cosy Tents we operate a full campsite with onsite facilities including BBQ area, fire pit and toilet/showers. 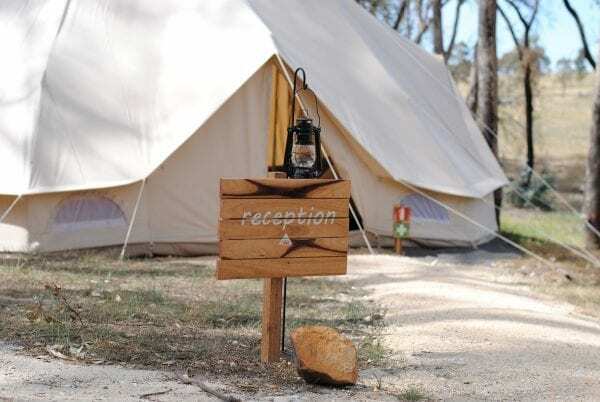 Reception – Upon arrival arrival, you will be greeted by one of our friendly camp managers who will show you to your tent. Reception is open from 9am – 6pm and has an array of books, magazines, games and information on the area for you to enjoy. 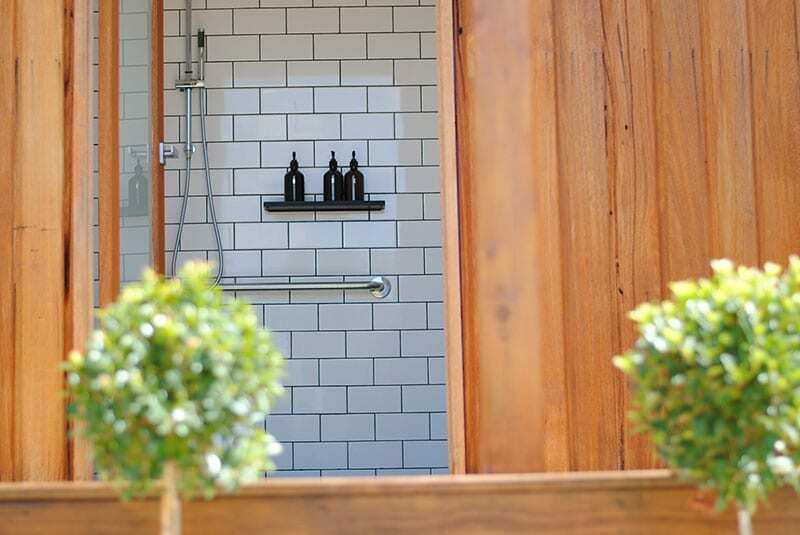 Toilets/Showers – Our onsite bathroom facilities offer spacious modern country style toilets and showers. Fire Pit – Weather permitting, our open fire pit operates all year round. 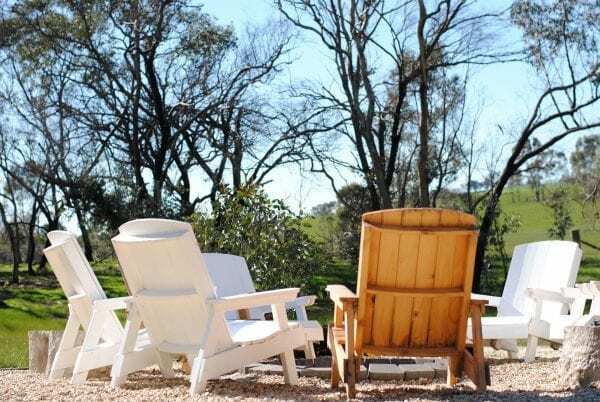 A beautiful place to sit and relax in the evening. 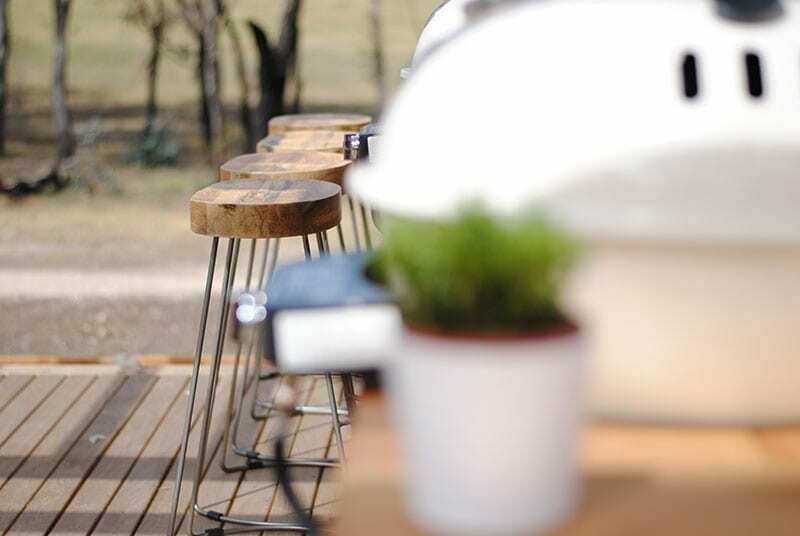 BBQ Facilities – Fully equipped, our bbq area includes webber burners, gas stove top burner, tea/coffee facilities, kitchen sink, pots, pans, utensils and outdoor sitting area.